Since the introduction of Citra-Lock (46,7%) to the renal departmant of St.Bard’s renal unit (Royal London Hospital) has proven record in managing MRSA. The number of MRSA infections has fallen from 2,27/1000 patiens catheter days to 1,36/1000 patiens catheter days. Citra-Lock intervention provides significant benefit to patiens, provides an extra 2-3 bed days to the hospital an provides savings of € 145.000,- . 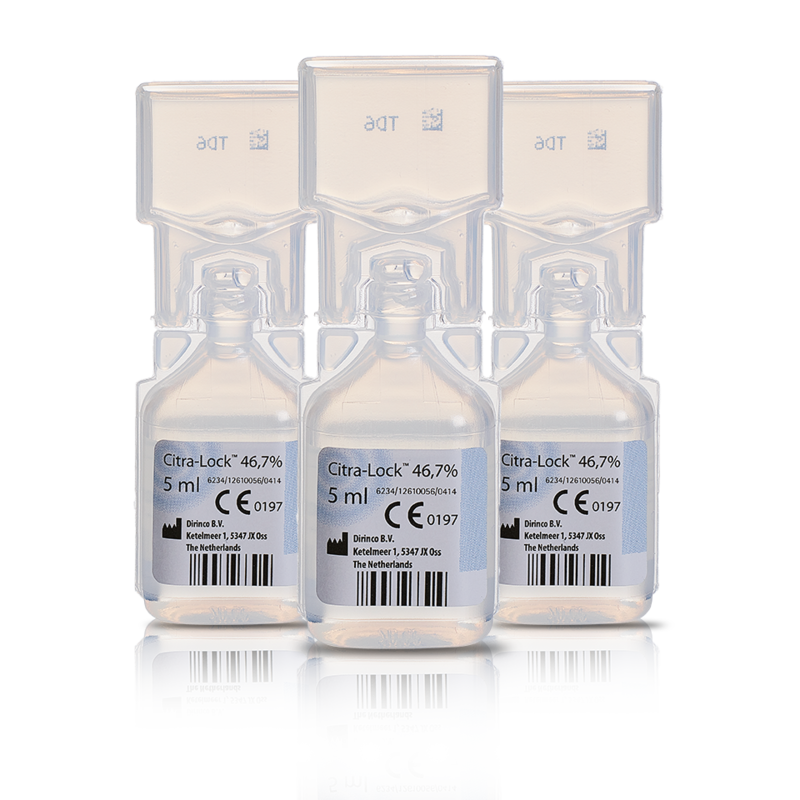 Citra-Lock™ is based on higly concentrated trisodium citrate that prevents clotting and therefore helps maintaining high flow rates whilst greatly reducing the need for Urokinase/tPA and otheter replacements. Trisodium citrate (TSC) lowers infection rates by reducing biofilm formation in hemodialysis catheters. The study of Bosma (2009) demonstrates an in vivo reduction of intraluminal catheter biofilm formation and bacterial colonizasion with the use of TSC 30% for HD catheter locking. By this mechanism, prevention of catheter-related infections by TSC can be largely explained.